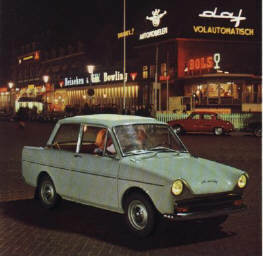 The DAF Variomatic was launched at the 1958 motor show in Amsterdam. The reaction from the Press and public was astounding - here was a small, compact car which could comfortably carry four people and their luggage, economically and also be very easy to drive. This was due to the simplicity and brilliance of the Variomatic fully automatic transmission. Until now, automatic transmissions tended to be only available on large cars. And conventional automatic transmissions were not very efficient. The Variomatic was the brain child of Dr. Hub van Doorne (van Doorne's Automobiel Fabrieken - DAF) and was infinitely variable in its ratios - there were no noticeable gear changes. The pulleys in the transmission expanded and contracted, depending on speed, road conditions and driver's demand automatically. 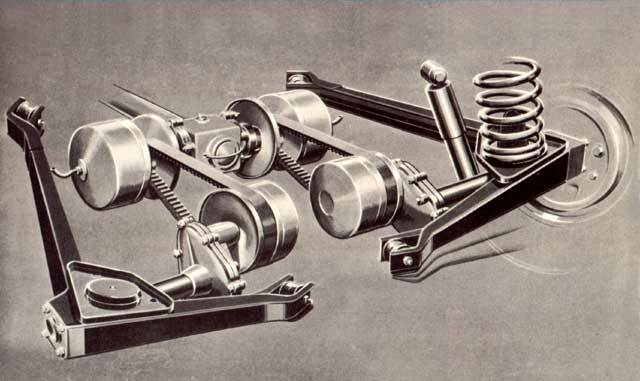 Final drive to the rear wheels was transmitted by rubber-composite drive belts. It became known as the "car of a hundred gears" and "the easiest car in the world to drive". There was a selector lever between the front seats - simply push it forward to go forwards and back to go back! And as with any other automatic car, there are just two pedals - accelerator and brake. The first DAFs were delivered to customers in 1959, with a 600cc DAF designed air-cooled twin cylinder engine. 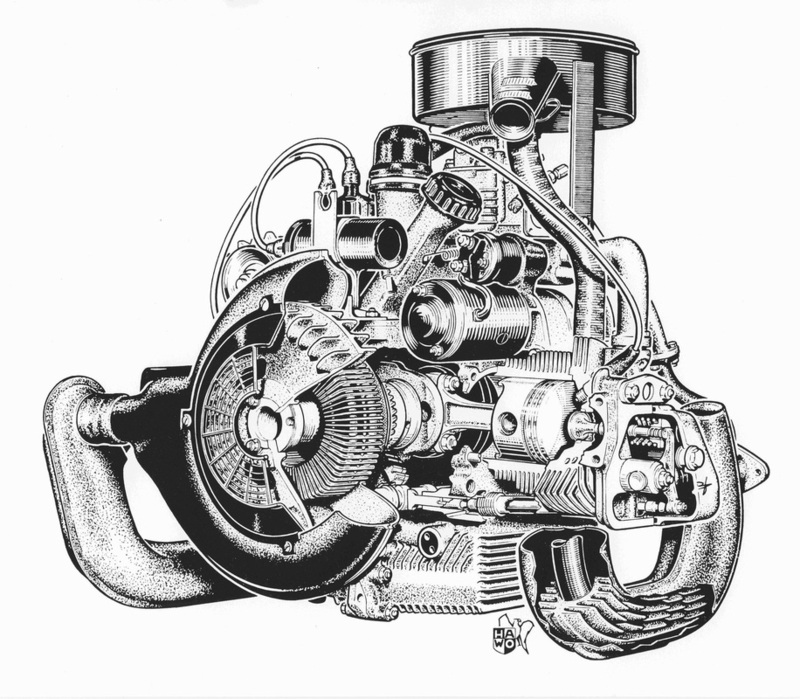 This same engine remained in production in an enlarged 746cc guise until 1975 in the 33. The engine capacity was increased in 1967 to 850cc with the introduction of the DAF 44 and carried on in production until 1975 in the DAF 46. 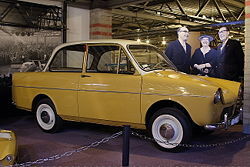 In 1968, the DAF 55 was launched which used the Renault 1108cc water-cooled engine. This car shared the same basic bodyshell as the 44. With the introduction of this larger engine, DAF appealed to more customers. 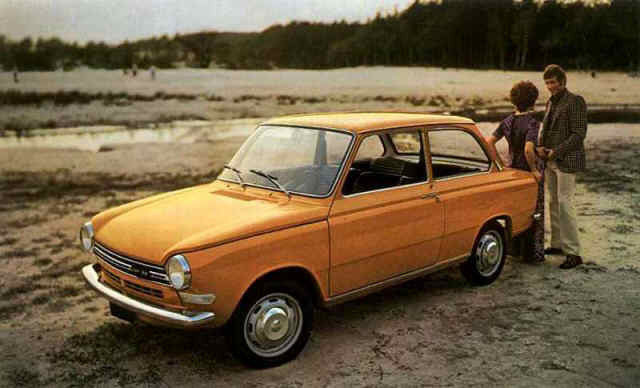 DAF continued with the air-cooled cars alongside the 55 and then later the 66, which replaced the 55 in 1972. The 66 also made use of the 1300cc version of this Renault engine, still of course using the Variomatic transmission, but a redesigned rear suspension using de-Dion set-up. Following the takeover by Volvo, DAF models were taken off the market, apart from the DAF 46, and the 66 was replaced by the Volvo 66. Then in 1976, Volvo launched the Volvo 343, which would originally have been launched as a DAF 77 had DAF cars survived. The 343 was developed over the years into the Volvo 340/360 range and continued on the market, even with Variomatic until 1992.